The Models and Data Tutorial showed you how to create the back-end of a web application; this tutorial will show you how to create a full site. You'll learn to create simple web pages and then learn how to connect web pages with data from the back-end. You'll see how to build the application represented in the physical machine below. 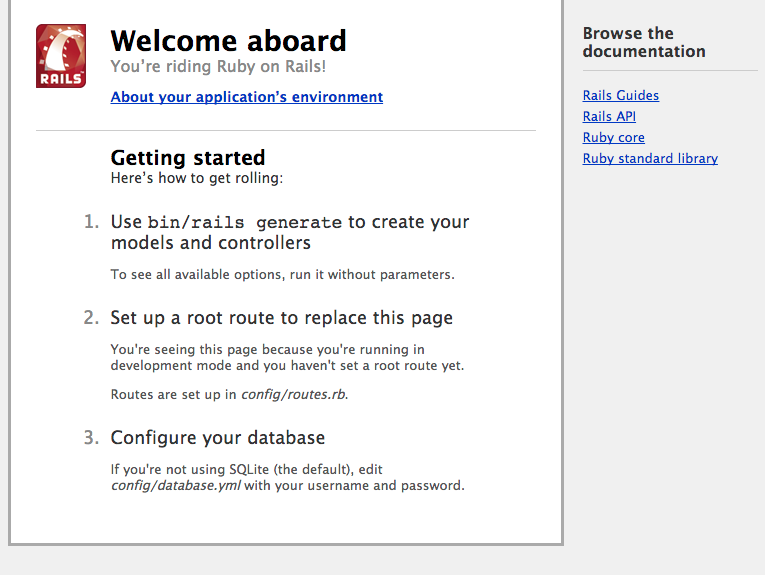 To get started, you first need to run your website on the rails server. A web server is a system that delivers web pages to users who request them. A server can refer to physical computers or to the software that handles these requests. You're unlikely to ever need to deal with physical servers, but you do need to run server software to make your web application work on the internet. Even if you just want to try out your web application on your own, you'll need to set up a server on your computer for that purpose. Now that your server is running, navigate to your home page. On your computer, go to http://localhost:3000. On Cloud9, click on the link shown.